We have two Riesling Auslese (select picking), our #8 and 8B (a little bid sweeter than #8), this is 8B, which we handed in to competition (since we know that our #8 is already awesome) and the #8B brought home two medals (which are on the bottle for identification)! 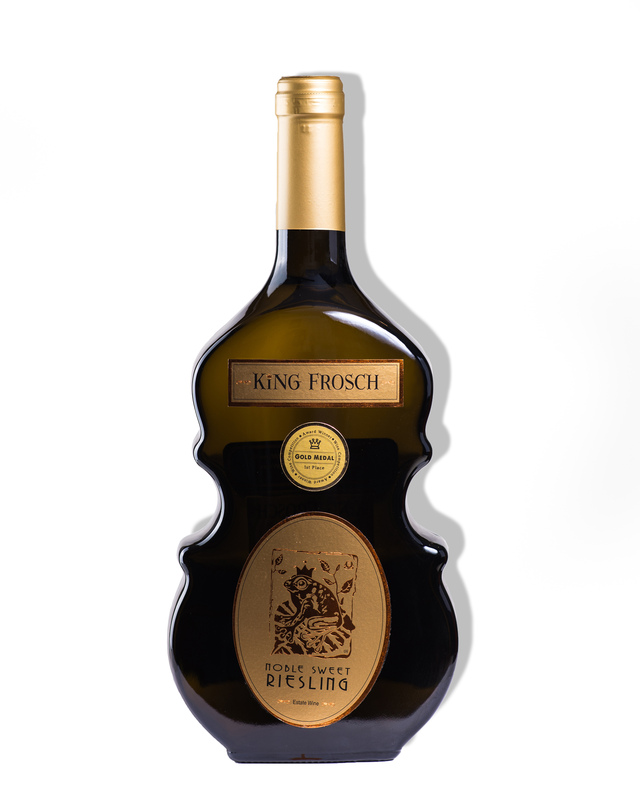 It is crafted from a late harvest of select, very ripe Rheinhessen Riesling bunches, this Auslese has a bit more bite and complexity than other noble sweet wines. The honey taste is complemented with juicy apple flavor, a hint of grapefruit and subtle earthy undertones. There is an excellent balance between acidity and sweetness. Serve and enjoy this smooth, flavorful wine chilled as an aperitif or with slightly spicy foods.